Top 5 Things to Know About Chocolate! We knew the "C" word would get your attention. I am excitedly writing this post, as I've just come from a Chocolate Tour, put on by Chicago Chocolate Tours. As a guest of fellow IP and legislative attorney, Shannon Bond, I was able to attend, learn and enjoy one of he world's favorite-- chocolate! For many of its early years, chocolate was consumed as a drink, and even used at currency. The commodity began in Aztec civilization, and like many products today, was even a victim of counterfeiting because of its great value. Although best produced in the Ivory Coast region in Africa because of the optimal temperatures for cocoa beans, chocolate is made in great quality all across the globe. After leaving his chocolate mixing over the weekend by mistake, Rodolphe Lindt returned to his shop pretty much horrified. Once he realized the "mistaken" consistency made for various ways to market chocolate, he knew he had something amazing. Clearly today, we agree! 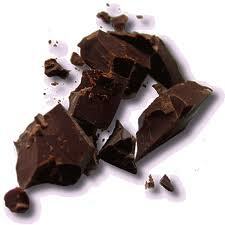 Dark chocolate is known to be packed with antioxidants. It is good for the skin, improves DNA resistance to stresses, and improves the mood. Surely you don't need many more reasons to enjoy chocolate, bu these are pretty good ones! Tea is the second oldest beverage known to man, after water. Since tea and chocolate each have so many benefits, from relieving stress, suppressing coughs, and calming the soul, combining the 2 is an obvious recipe. Adding chocolate to various teas--greens, whites, blacks, or reds, not only makes for tasty drinks, but healthy options as well. 5. Chocolate Tours are a MUST! Chicago Chocolate Tours was founded by attorney Valerie Beck, whose lifelong adoration for chocolate has masterminded an amazing business. With tours in Chicago's shopping mecca, as well as Boston and Philly, the tours are wonderful ideas for bachelorette parties, new hire orientations, team building events, or just a good time for any chocolate lover. We had an amazing time on the tour, and would recommend the fun to everyone!